(CNS): Despite various campaigns and road safety clamp downs, the number of accidents and offences on Cayman’s road continues to increase. 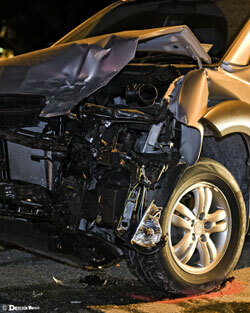 Six people were killed in Cayman during 2013, one more than the year before, but collisions overall grew by 122 or 11% to a whopping 1,206 road smashes over the 12 month period in 2013. Averaging more than 100 a month, the worst month was January when 276 crashes were reported, an increase of 136% compared to January 2012 and in the immediate wake of the RCIPS annual clamp down. Traffic offences increased by 334 to 6,569 during 2013, compared to 6,235 the year before. Alongside the release of the increasing crime statistics for 2013 this week, the police have also revealed the ongoing issues relating to Cayman’s drivers. Although speeding offences fell dramatically, down by 53%, and DUIs more modestly by 15%, officers had clearly turned their attention throughout 2013 to the new offence of using a mobile phone behind the wheel and ticketed 1,364 people. November saw the highest number of people fined $100 for using their phone, indicating that even after more than a year of implementation the new rule was having little or no impact on behaviour. See traffic statistics below (scroll down past crime statistics to page three). (CNS): The National Trust is asking government to realign the East-West arterial road south in order not to encroach on what is more than five acres of Trust owned and protected land. Contrary to claims being made by the government, the Trust says the road can be moved. The local NGO had already expressed concerns about plans for the road since its gazetted approval under Section 25 (4)(a) of the Roads Law in 2005 but there have been no amendments to the plans and government and the NRA have ignored the Trust. The offer by the investors behind the proposed Ironwood development to finance the extension from Hirst Road to Frank Sound has increased the urgency to change the current route and the Trust is warning government it faces a legal impasse if it does not. “We are disturbed at the possibility that years of acquiring land and millions of dollars raised for these purchases could be compromised for road access when the road plans could easily be modified,” the Trust stated this week as the concerns about the road in the community grew. However, the Trust said that if government reroutes the road around the areas preserved in perpetuity for the people of the Cayman Islands under the National Trust Law it won’t have any legal problem to tackle, as it noted the reasons why the land was entrusted to it in the first place, as well as its cultural and historical significance. The NT has pointed to a catalogue of issues relating to this road extension, from the direct loss of habitat and the amount of fill that will need to be quarried and used for the road to the damaging facilitation of the spread of invasive species east, not least the green iguana, undermining the enormous ongoing successful efforts by the Trust to save the endemic blue iguana from the brink of extinction. “The National Trust’s properties are protected because they are important habitats for the ecological health of Grand Cayman but also, in the case of the Mastic Trail, as a piece of our shared national history. To build a road through these areas will fragment and impair the important environmental functions they provide. To drive a road through the Mastic Trail is a fragmentation of our history. “If this project moves forward in its current form, the serious implications for Cayman’s future generations will include habitat loss, habitat fragmentation, and habitat change – directly, in the immediate vicinity of the road, and indirectly, in areas linked to the habitats being modified,” the NGO warned in a briefing paper. 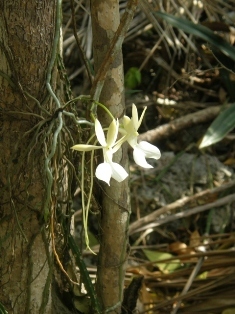 The Trust said, however, that by simply making minor readjustments to the road’s position, the critical habitats which provide Cayman with a major tourism product, one of our few land based natural attractions, and allow it to rate as one of the most beautiful destinations in the world, will be maintained. See briefing papers below and diagrams showing the encroachment of the road on Trust land. (CNS): A 37-year-old man from Malaysia who was arrested in a credit card con when he attempted to use what is understood to have been a cloned credit card has admitted his part in the fraud. Tan Teck Kuan pleaded guilty on Friday when he appeared in Grand Court on a charge of obtaining a money transfer by deception relating to a credit card transaction of more than $4,000 and attempting to obtain a money transfer by deception of more than $70,000. Kuan, who attempted to use the clone cards in a downtown jewellery store last October, was a visitor to Cayman at the time. He was remanded in custody until his sentencing hearing, which is now scheduled to take place in April. Kuan is one of three men from Malaysia who have been charged with credit card crime but it is not clear if prosecutors believe the men were acting as a gang. Hew Senn Wann, 49, has also pleaded guilty to obtaining US$74,161.72 and attempting to obtain US$36,002.50 in a similar manner and has also been remanded in custody until his sentencing, which is also set for next month. Thanabalan Manogar has also pleaded to similar charges. Both men are expected to be sentenced next week. (CNS): Twenty four Cubans were rescued from the ocean on Wednesday by a Carnival cruise ship, local officials have confirmed. The Paradise which was en route to Cayman yesterday helped the 23 men and one woman who were in trouble about 20 miles South of Cuba as their boat was letting in water and appeared to be sinking. They brought them here because Cayman was their next port of call and the refugees are currently being processed by Immigration, an RCIPS spokesperson confirmed. The refugees were aboard a wooden boat which had been stranded for some five days at sea and the cruise line stated that they were in distress when the ship altered course slightly to pick them up. "In keeping with a long-time tradition of aiding mariners in distress, Carnival Paradise altered its course and brought on board 24 individuals from Cuba who were provided with food, water, fresh clothing and accommodations and evaluated by the ship's medical team," Carnival told Reuters news agency on Thursday. On arrival in Cayman the refugees were handed over to local authorities for processing who said they all apepared in good health. The refugees are now at the immigration detention centre awaiting the outcome and likely deportation back to Cuba. (CNS): The Cayman Islands Chief Petroleum Inspector Duke Munroe has called for “much needed regulation of fuel quality standards” as he published his final report today on last year’s inspection. Although the investigation didn’t uncover any very significant cases of fuel adulteration or contamination the findings highlight the need for a number of measures to address the problems that were found. Following complaints about fuel quality the inspectorate went into the field and while analysis indicates that the baseline parameter of the fuel meets standard test criteria the inspector has raised a number of concerns and offered solutions. Officials said that the planning ministry is preparing to begin work on the recommendations in the report which include establishing a committee to develop fuel quality standards, random sampling, fast track regulations and policies on quality and a formal complaint process. The results of the investigation were not indicative that the quality of fuel on the market was questionable but the inspector said there is the possibility of fuel being imported of varying standard and composition which could have negative impact on customer vehicles. “Absence of Regulation leaves an opendoor on the issue and because of the complex nature of fuel quality issues, the Oil companies simply cannot be coerced into complying with fuel standards unless a comprehensive approach is taken to address such an issue, backed by legislation,” he said. “Importers of fuel for consumption have a moral obligation to ensure the quality is acceptable and should make the public aware of any peculiarities of their fuel without having to divulge truly sensitive competitive information,” Munroe said. “This requirement is further reinforced by the fact that liability for issues related to their fuel quality in most instances, remains with the primary importer. Overall, the fuel boss said that despite the limitations, the exercise produced useful findings and valuable data/information which is essential for renewed discussion in the area of fuel quality, and ultimately to develop a framework to address this issue going forward. He said thatinformation flow from the industry to government and the public continues to be a factor of importance in addressing issues of general nature and was evident during this exercise. 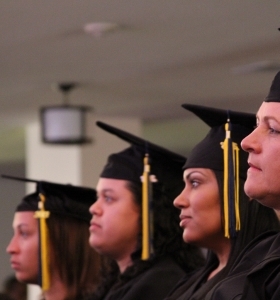 (CNS): A total of 62 graduates received diplomas at the recent International College of the Cayman Islands (ICCI) held its 41st Commencement ceremony at the Cayman Islands Baptist Church last month. There were graduates from all three of the ICCI programmes including 20 associate degree graduates, 23 Bachelor’s and another 19 people graduated at the Master’s level. Various awards were given to the graduates including the Cayman Islands Society of Professional Accountants Award for Highest GPA in Accounting, which went to Rashan-Kym Retumban in the associates programme and Jessica Thomas in the bachelor’s Programme. Awards were also given by Cayman National Bank for Highest GPA in Finance to Naresa Peart-Robinson at the Associates level and Maxine Gumbs-Gordon at the Bachelor’s level. The Butterfield Achievement Award for Academic Excellence in Business, Associates and Bachelor’s went to Kayla Wood and Maxine Gumbs-Gordon. Ernest & Young Achievement Award for Academic Excellence for Highest Bachelor GPA went to Maxine Gumbs-Gordon. Graduate Student Damara Bonner received the President’s Award for Outstanding Achievement in the Master’s Degree Programme. (CNS): A late goal by Theron Wood in the second half of the President’s cup finals on Wednesday evening clinched the trophy for BoddenTown Football Club with a final score of 2-1 to the local champions. The finals took place at the T.E Mcfield Sports Centre in George Town following the ladies battle which was won by Sunset 4-0 over Future. Meanwhile, Bodden Town is now looking forward to playing in the 2014 Caribbean Football Union (CFU) Club Champions’ Cup, and aims to advance past the first round. Despite an early lead for George Town in the first half the local league champions and community shield holders went on to take the game with two goals in the second half. The reigning Cayman Islands champions will now head to Puerto Rico where from March 21-25 they will p[lay in the first-round, of the CFU in Group 1 against Bayamon (Puerto Rico), Centro Dominguito (Curacao) and Unite Sainte-Rose (Guadeloupe). Three years ago, Bodden Town hosted then Puerto Rico champion River Plate in a preliminary round series. After losing the opening fixture (2-0), it won the second leg (1-0), but was eliminated 2-1 on aggregate. The club has used that experience to motivate the players ahead of their return to the CFU’s qualifying competition for the CONCACAF Champions League. 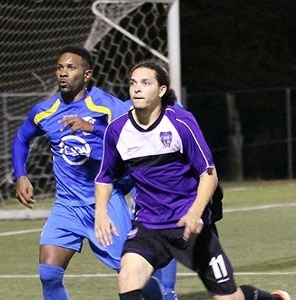 Striker Theron Wood, one of Bodden Town’s marquee players, hopes to lead his team beyond the initial hurdle. More than just squaring off against the best clubs in the region, Kelly hopes this opportunity provides his players with an example of what it takes to compete at the top level. (CNS): The Cayman Islands Athletic Association has confirmed that local sprinter Kemar Hyman has withdrawn from competing at the World Indoor Championships in Sopot, Poland due to an injury. Hyman told the Association that he was unable to represent Cayman in Poland as a result of a hamstring injury. The local athlete has faced a number of injury issues at critical moments. 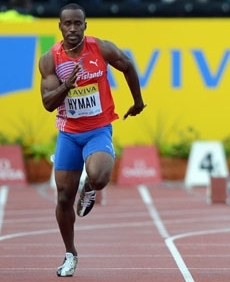 In 2012, Hyman missed the opportunity of a lifetime when he pulled out of the Olympic Games 100 metre semi-final in London in 2012 as a result of a pain in his abdomen. Hyman was due to run in the men’s 60m sprint at the 15th IAAF World Indoor Championships against some of the fastest runners in the world in Sopot, Poland which open on Friday. However, he told the local athletics association that his injury meant he was pulling out. ““Last week in practice I injured my hamstring while doing block starts. After resting it for a few days, I decided to test it out at a meet this past weekend In Berlin, Germany and reaggravated the injury. I am currently seeking medical advice on how to proceed so that I don't further risk my outdoor season. I thank you for your ongoing support and apologize that I am unable to represent the Cayman Islands in Poland,” he said in a message. The Cayman Islands Athletic Association said that it wished Hyman a speedy recovery and trust that he will be ready to compete, injury free, during the upcoming outdoor athletic season. (CNS): Although David Moffitt, one of the principals in connection to the proposed Ironwood development in North Side, has said he wants to take the used tyres at the dump to use as fill on the proposed golf course, he admitted last week that this would not see them removed anytime soon. The government has once again, following its fourth request for proposals, failed to find a taker willing to buy the tyres. However, giving them to the Ironwood developers would not necessarily be a solution as Moffitt said the intention would be to purchase a tyre shredder and shred them on site at the dump and then transport them to the location of the proposed ironwood development once the golf course begins, which is unlikely to be before 2015. 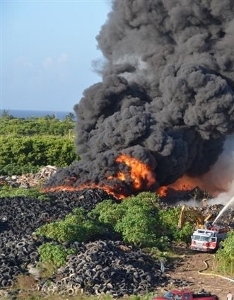 The ironwood developer’s offer looked a lot less like a solution last week when he admitted during a press conference that if they were given the tyres they would not remove them from the George town landfill until the golf course was started. With the golf course entirely dependent on the development of the road and that subject to the full FFR process, giving the tyres to the Ironwood development would not solve the problem for the Environmental Health Department. However, the government has said while it hasn’t been able to find a taker under the parameters of the last four RFPs, it will obviously now be examining other solutions and any new tender will need to be adapted. While government may now be considering giving the tyres away, the whole point would be that the tyres were removed quickly. Government has now signed a non-binding MOU with the developer over what is already proving to be a very contentious proposed project. The document has not yet been released to the public and CNS is awaiting a response from government regarding its release.